The unveiling of the work was presided by the parish priest, Fr. Javier Catota, surrounded by hundreds of faithful and who were happy and joyful for the blessing of this new prayer space. 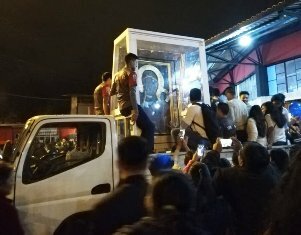 The parishioners thanked the members of "From Ocean to Ocean" and the Archdiocese of Quito, for the organization of the pilgrimage of the Queen of Poland. The Icon travels the world promoting the universal values ​​of the family, as well as human life from conception to natural death. 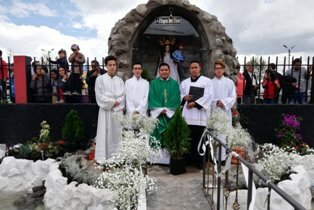 The visit was an opportunity to celebrate with joy the inauguration of the grotto of the Virgin of "El Cisne", whose main objective is to strengthen and promote the faith, through Christian presence.